It’s pointless to do all the hard work when it comes to creating and manifesting what we want in our life and business, only to sabotage ourselves with the inability to receive. You may be at a point right now where frustration is a constant companion because you’re doing everything right… you’re ticking all the things off the list and yet something still isn’t working. The money isn’t coming, the clients aren’t signing up, the opportunities have dried up…. If this sounds like you, then there’s a very good chance that you forgot to open your heart and allow yourself to receive. 1) You struggle to accept compliments from others – someone tells you that your hair cut looks nice and you play the compliment down…. ‘it was only a cheap cut from Sally down the road’, or ‘it looked so awful before I had to do something about it’. Just accept the compliment by saying thank you! There is no need to explain, justify or even give something back in return. Bask in the energy of that compliment and let the other person give to you. 2) You won’t accept help from others, even when it’s been offered. Part of you feels guilty that you can’t do it all alone and you’ve made up this story about how others must think you weak, pathetic and inefficient if you haven’t got it all together. People like to help, so let them be there for you. It’s how friendships, partners and relationships are deepened. Allow yourself to be vulnerable. 3) You’re hanging onto anger, resentment, bitterness, envy and other low level emotions. All of which block your ability to receive. Money, health and love all vibrate on a much higher frequency, so these emotions and the past are preventing you from having more in your life now. 4) You refuse to forgive. There will always be people you need to forgive in life, those who have said and done things to hurt you, but the question is how long are you going to hold onto all those memories and emotions and let them block you from having the life you want. Forgiveness is not about letting them off the hook, it’s about saying I will no longer be under your control and be a victim to you and the past. 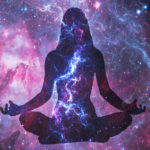 5) Your energetic vibration is low. 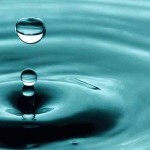 There are so many things that can impact our energetic vibration, emotions as mentioned above, but also you need to give attention to things such as sleep, diet, water, exercise, the company you keep, your environment, essentially anything that can impact your emotional and physical well-being. 6) You’re trying to control how things should happen… hello to all the control freaks out there!! 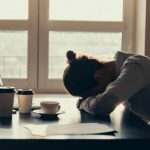 You have a very clear idea of what should happen and when and when it comes to your business and making money, there’s a good chance you’re being just too rigid in your thinking. When you have set expectations for how things have to happen, you’re leaving no room for the universe to deliver what you want (money, clients & opportunities) through other avenues. Time to let go lovely lady. 7) You simply don’t trust. Whether this is trusting yourself and your choices, or whether this is about trusting other people, you just can’t let go. Delegating may be very hard for you, because you just want to know that things are done and they are done your way. The trouble with lacking trust is you feel like you have to do everything and not only is this very exhausting, you can end up feeling very lonely. 8) You have inner conflict between what you say you want and what your subconscious will allow. This is when you need to either be really honest about what you want, or clear the fears and limiting beliefs in your way. This is a form of sabotage and a way for your subconscious to keep you safe, by blocking any change. 9) You’re not clear about what you want in life. Remember the universe is like your waiter, ready to take your order and bring you what you desire. If you keep changing your mind, or you aren’t clear enough, you’re not going to get what you want. End result is frustration, disappointment and hunger! 10) You just don’t believe it’s possible for you. You want to, but part of you is doubting. These are all things that I see my clients struggle with every day and like all people I have my moments too. The key as always is self awareness and having the tools to move past this. If you want more from your business and you’re ready to step out of the shadows and be paid your true worth, then let me help you with my group program ARISE. It truly is a special place for like minded women to come together and have the support they need to peel back the layers of their mind. I know what’s possible for you, because I’ve seen incredible things happen for people when they do this inner world. Not only does their business thrive, but the rest of their life soars too! 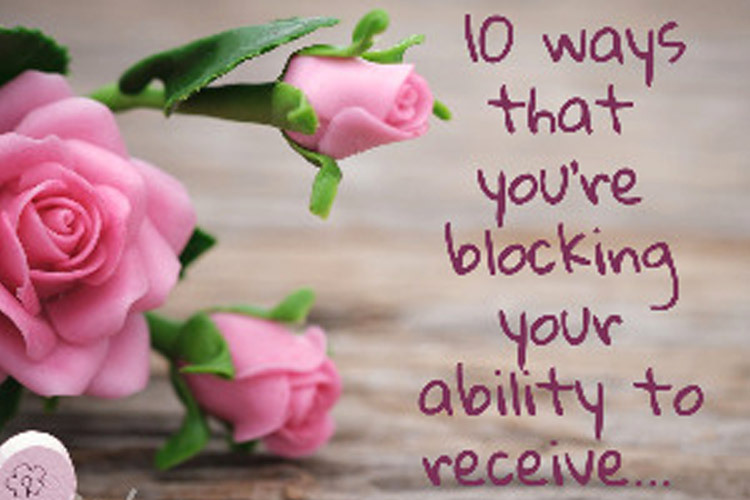 0 Comments on "10 ways that you’re blocking your ability to receive"